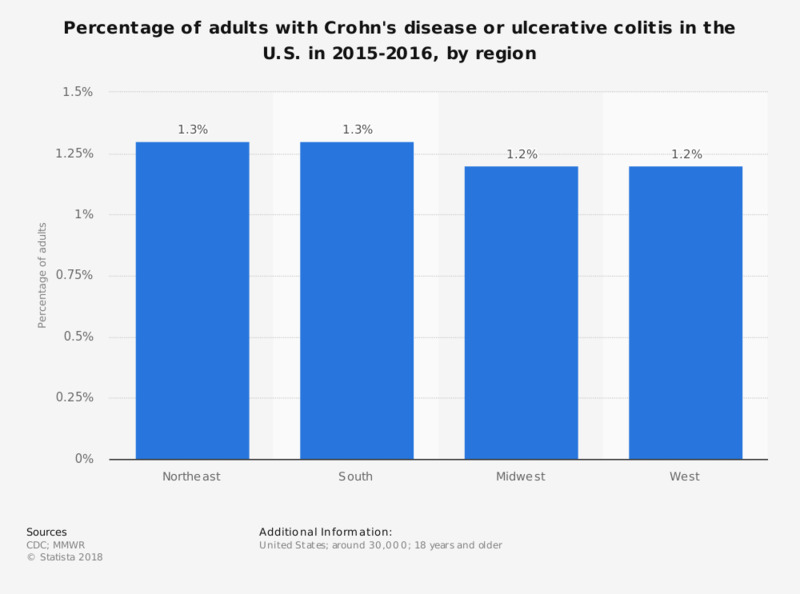 This statistic shows the percentage of adults in the U.S. who had been told by a doctor or other health professional that they had Crohn's disease or ulcerative colitis in 2015-2016, by region. As of that year, an estimated 1.3 percent of adults in the Northeast had been diagnosed with one of these inflammatory bowel diseases. Respondents who had ever been told by a doctor or other health professional that they had Crohn's disease or ulcerative colitis.